Blissful and Domestic - Creating a Beautiful Life on Less: Weekly Menu Plan: Hearty Ham and Rice Bake, Burgers and Fries, Sesame Honey Chicken, and more! 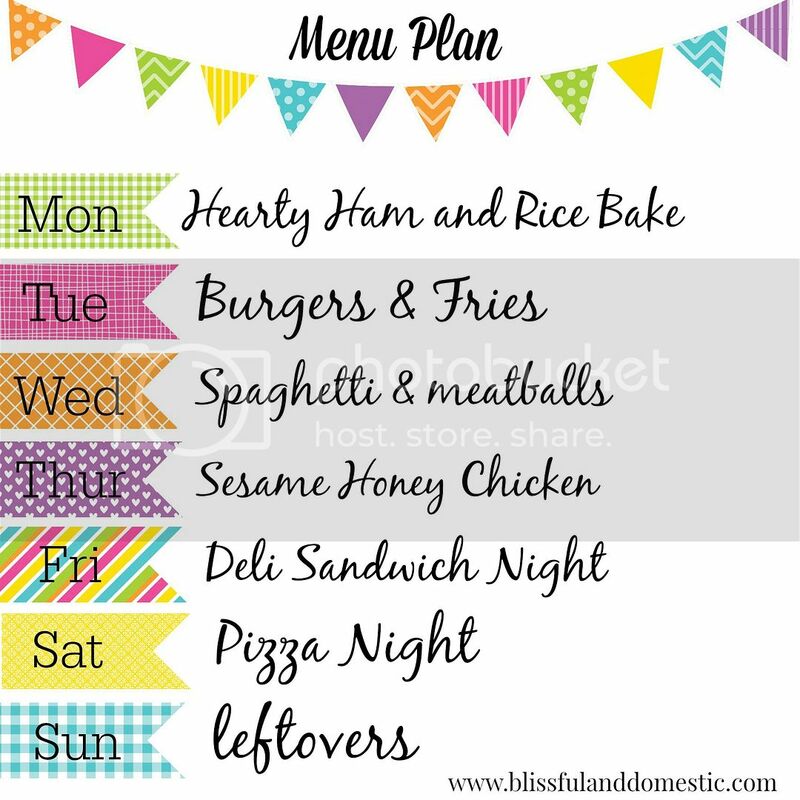 Weekly Menu Plan: Hearty Ham and Rice Bake, Burgers and Fries, Sesame Honey Chicken, and more! This week is full of some great recipes and even greater tips to make your groceries stretch and work for your family. From Slow Cooker Sesame Honey Chicken to Hearty Ham and Rice Bake, you will not be disappointed. So check your pantry, make your list, and plan your meals for this week. Like all menu plans, this one is printable for your convenience and includes all the recipes too! Have a fabulous day lovelies! That's quite a bit of meat! You might want to read The Starch Solution and The China Study. Save money and your health! hey Danielle, on the ham and rice bake the onions do u used dried minced onions or do u actually use fresh onions? thanks!